solution for the task of dosing various powders. size and the speed of the auger screw rotation. 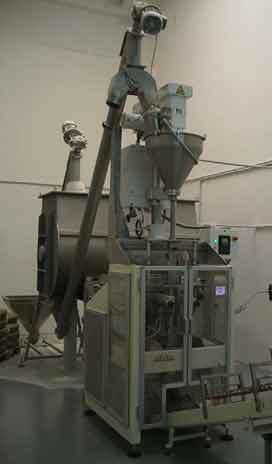 overall performance of the packaging line. offering rotation accuracy of few degree. that will check the weight of every single product. providing active net weight control loop. 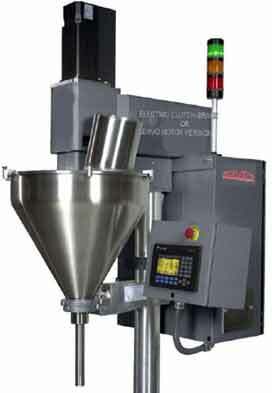 Auger filler mounted above bagging machine.